Memorial tiles are an inexpensive and beautiful way to remember disasters and people we have lost in them, or the bravery of the men and women who fought for our freedom. Around the world, many places such as museums and memorial sites use memorial tiles to bring awareness to multiple causes. Memorial tiles not only last long but are also easy to be integrated into the environment. With the variety of different designs, sizes and colours, it is easy to see why many people and companies choose memorial tiles as a respectful way to remember a person or event. Some of the world’s biggest disasters are commemorated around the world using memorial tiles. They’re eye catching and can be part of the community. Some of the example below show how memorial tiles can be customised and bring together the community to show their support and knowledge of the cause. It’s also a great opportunity for children to get creative and use their imaginations, whilst learning about important events in our history. So, to truly appreciate the potential of memorial tiles, here are five examples of how they have been beautifully used in our world. On April 19th 1995, the Murrah Federal building in Oklahoma was bombed in the early hours of the morning. It’s estimated around 600 people either died or suffered serious injuries in this horrible attack, so the memorial was made to remember the victims, survivors and brave rescuers. In this case, children were encouraged to send in their hand painted memorial tiles to create a wall of remembrance tiles. It is an emotional and beautiful piece of history that has taught future generations about this event and the tiles will be able to keep bringing people in to learn and remember everyone involved in this tragedy. This is a very ambitious and successful project created in Boournemouth, Dorset, UK. 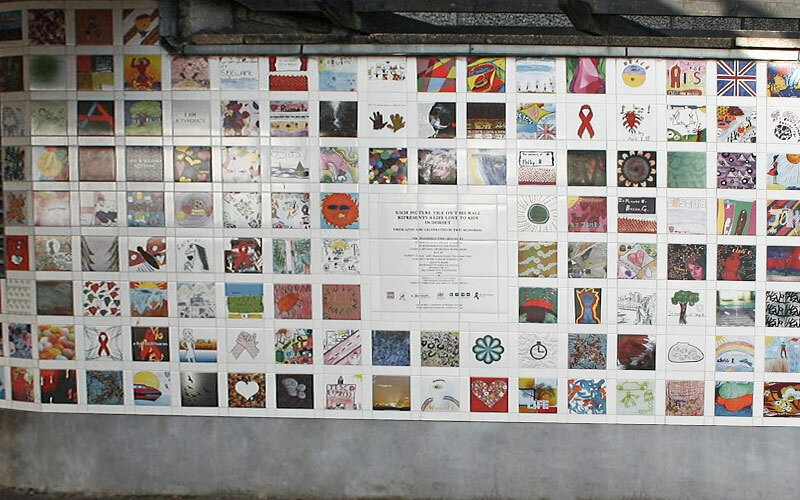 This project encourages family members of people who have died of AIDS to create their own unique memorial tiles to keep the spirit of their loved ones alive. It is also a great way to get the community involved in a project that brings education on the subject matter and can be a support network for anyone effected. It can be a constant reminder of the impact AIDS has on its victims and their families and further reminds us why research is important and crucial to finding cures and answers to this disease. This is definitely a very powerful use of memorial tiles. The Holocaust is one of the greatest tragedies in our history as humans and one that should never be forgotten. Around the world people hold celebrations to remember the six million victims of this tragedy and make sure to keep educating the world, hopefully to prevent this from ever happening again. One of the biggest memorial sites for the Holocaust, is the Memorial Museum in the United States. It’s aim is to keep the memory of the victims alive and teach each new generation the impacts of this event. One of the most touching places in this museum is the wall of individual memorial tiles painted by children, a touching way to show people the importance of education and how our future generations are understanding the past. Over in Manchester, UK, you can visit a walkway of ceramic tiles that honour all the lives lost in the Battle of the Somme that took the lives of many heroic soldiers. The different and varied tiles tell the stories of thousands of soldiers that trained for the battle right in that park and tragically lost their lives fighting for their country. The tiles have printed on them portraits of the soldiers and their partners and even contain different facts and stories that are bound to keep people interested. This is a very interesting way of using memorial tiles because rather than creating a wall like the previous examples, this is a walkway. There is a great message in using memorial tiles in this way. It forces the visitors to walk in the footsteps of those soldiers and picture the past as they stand in a place with a lot of meaning and history behind it. 9/11 is definitely one of America’s greatest tragedies. In Greenwich Village, hundreds of hand painted tiles were hung up in memory of the victims of 9/11. It made for a beautiful, handmade memorial site full of community spirit. You can tell from the picture in the article that each individual tile has been hand painted with so much love and care. It is such a long lasting and beautiful way to show that our thoughts and prayers are with those victims and that they will never be forgotten. So those are five examples where memorial tiles were used for a good purpose and each site looks unique and special. There are so many more places out there that are just as eye catching, it is hard to choose; but we hope this list has made our point clear that memorial tiles are a brilliant way to show remembrance and pay tribute. 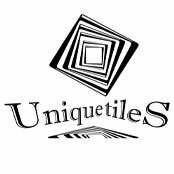 At Unique Tiles we completely understand the needs of our customers who come to us for memorial tiles. With the years of experience from our team members, we are able to deliver excellence and perfection to every order we make. We also make a promise to you to take things at your speed. We understand you may be going through a difficult time and we wouldn’t push you to spend a penny more than you need. Our memorial tiles are made with the highest quality materials and are made in a way that will make them last for many years. Our business is based on your satisfaction and we want to make sure your experience with us is positive and simple.